Image provided by Flikr user US Army. The depth of what I understood of war was: kill bad guys + take capitol = victory parade. I can’t recall thinking any more than that. It took until my second year, in Tal Afar, Iraq, to recognize that war was about more than the “bad guys” I could see. The Regimental Commander ensured that each trooper knew our unit’s mission was to enforce the current United Nations Security Council Resolution in Iraq. War became purposeful; the implementation of policy with force. This revelation assuaged the loss of good soldiers and extinguished some pain in my personal life. It also has, years later, driven me headlong into designing a course which would steer you right where I went wrong. My purpose in designing DS470 was that my unknown would be your known. Each DS470 graduate understands, analyzes and can effectively communicate both the relation of tactical action to American national policy and the use that is made of force in the international system because as commissioned officers they will directly contribute to the nation’s strategic performance in war. History reminds us that others have been through worse. It can also help to prepare us for what may come. DS470 was intended as a parallel effort – a “guide” or “aid to judgment” when combat becomes confusing (as it undoubtedly will). To round out the thought, President John F. Kennedy kept a small sign on his desk that displayed the Fisherman’s Prayer: “O God, Thy sea is so great and my boat is so small.” This overwhelming feeling, at some point, will invade your psyche. When it does, I hope the North Star you may have gained sight of in DS470 will be there to point the way. The ability to learn is a precious gift that you alone are responsible for. Mark Twain’s comment, “I never confuse my learning with my education,” is something I try to live by. You should too; find what philosopher John Dewey called “plasticity.” Dewey said this was an openness to being molded by experience: “The inclination to learn from life itself and to make the conditions of life such that all will learn in the process of living is the finest product of schooling.” Read newspapers, listen to podcasts, watch documentaries, travel, and live a life that embraces the mind you’ve been given. Above all, listen to Laurence Sterne: “What a large volume of adventures may be grasped within this little span of life by him who interests his heart in everything.” Be passionate about your life and use that energy to learn new things that you care about. I consider it a privilege to have helped guide your learning this short while. 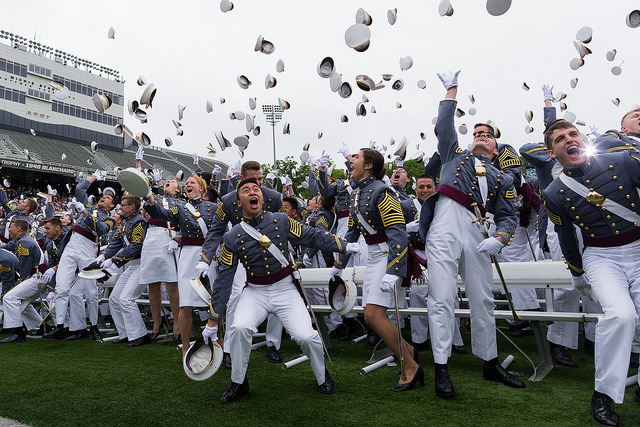 I truly enjoyed class – I’m not afraid to admit that I genuinely felt a flash of sadness when the last cadet of the day walked out the door. I often worry that I haven’t done enough to prepare you for what may come. Paraphrasing T.E. Lawrence helps a bit: it will be your war and your platoon, and my time to develop your understanding of military strategy was always limited. I really did my best and can only hope that was enough. In parting, remember that Aloha means both “goodbye” and “hello.” This may be the end of DS470: Military Strategy – but it is just as much the beginning of military strategy for you. Make sure you visit WarCouncil.org and keep at it. *Note: I’m turning over my Twitter handle – @TheWarCouncil – to the War Council site shortly; if you’d like to keep up the relationship, please consider following me on Twitter @mlcavanaugh. Thanks! 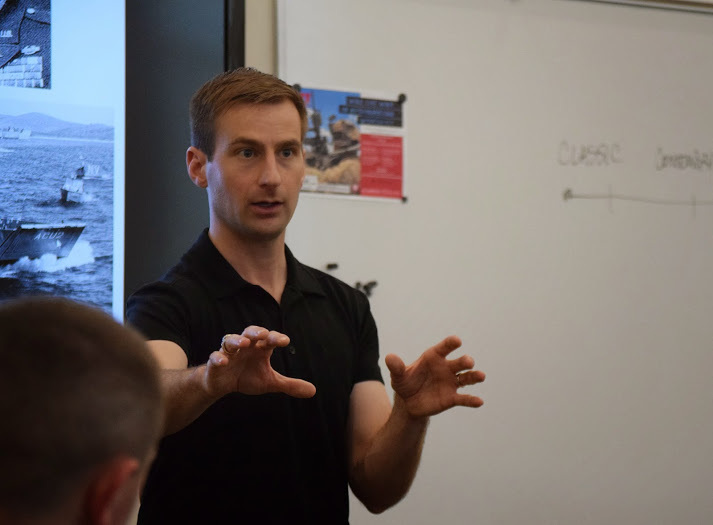 Major Matt Cavanaugh lecturing at the University of Utah. PreviousSpeaking Truth to Power: What Does the Army Strategist of 2025 and Beyond Look Like? Thanks for your quick and informative response. I will be using this to help with my teaching of strategy, operational planning, maybe even op design that we teach here at JCWS. Thanks, Bill.